Western-backed rebel forces have returned to the historic Syrian town of Maaloula, destroying parts of it and killing scores of its inhabitants, according to media reports. 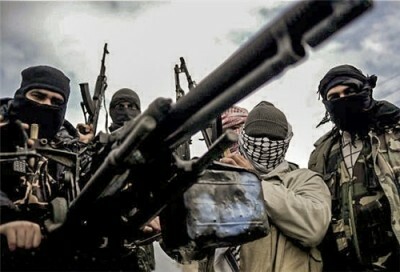 Rami Abdul-Rahman, the head of the Observatory for Human Rights, a London-based pro-opposition NGO, said that 1,500 fighters of the al-Qaeda linked Al-Nusra Front and the Qalamon Liberation Front stormed the village after fierce fighting with the regular Syrian army on Sunday. Last Wednesday the Islamists had attacked Maaloula for the first time but were driven out by the Syrian army after it received reinforcements from the capital Damascus. Now the Islamists seem to have taken over the historic town that has two of the oldest Christian monasteries in Syria and is one of the few places in the world where Aramaic, the biblical language of Jesus, is still spoken. “The army pulled back to the outskirts of the village and both [rebel groups] are in total control of Maaloula now,” Abdel-Raman said. A resident, reached by phone, confirmed that rebel forces were now in control. “The rebels are inside Maaloula, all of Maaloula. The government troops have pulled out of Maalula,” the resident said, who requested anonymity out of fear of repercussions by the Islamists. Other residents quoted in the Lebanese news outlet The Daily Starreported scenes of a massacre after the rebels moved into the village. “They shot and killed people. I heard gunshots and then I saw three bodies lying in the middle of a street in the old quarters of the village,” the resident said. “So many people fled the village for safety.” Maaloula “is now a ghost town,” he added. A Christian inhabitant reported that he “saw the militants grabbing five villagers and threatening them: ‘Either you convert to Islam, or you will be beheaded.’” A Christian woman speaking to AP confirmed reports that the Islamists threatened Christian inhabitants with death if they did not convert. Another resident told reporters that one of Maaloula’s churches, called Demyanos, had been torched and that armed rebels stormed and pillaged two other churches. Most of the rebels are not Syrians, he said, explaining that he identified various foreign dialects, mainly Tunisian, Libyan, Moroccan and Chechen. A Christian woman who managed to escape to Damascus gave an interview to the BBC describing in tears that she had to leave all her belongings behind as the rebels who wore “free army clothes and had covered their faces” entered the town. “People left everything, they even were not able to take their money with them,” she cried. She blamed US president Barack Obama and US allies for arming and financing the Islamist forces who brought death and destruction over her village. “We need Obama to stop sending the big instruments, guns… they have to stop sending it to the rebels because they are killing us,” she said in tears. The attack on Maaloula by the Western-backed Islamist rebels underlines the murderous strategy by the imperialist powers to recolonize Syria. As they are preparing a major military assault on the small country, they mobilize their al-Qaeda linked proxy forces on the ground to step up their bloody campaign of sectarian cleansing and terrorist attacks against civilians. The Syrian newspaper Al-Watan reported early Tuesday that five workers of the General Company for Reconstruction and Development were killed in an attack in the Harasta suburb of Damascus, when mortars were fired on their company building. The attack on Maaloula by the opposition gives a glimpse of the crimes to come as the imperialist powers seek to topple the Assad regime and put their proxy-forces in power. The looming bombing campaign will not only directly threaten the lives of thousands of Syrian soldiers and civilians. It will also strengthen the rebel forces on the ground, which are waiting for a green light from their imperialist backers to approach Damascus—an ancient city with its long history of religious and cultural diversity—to carry out far greater massacres.